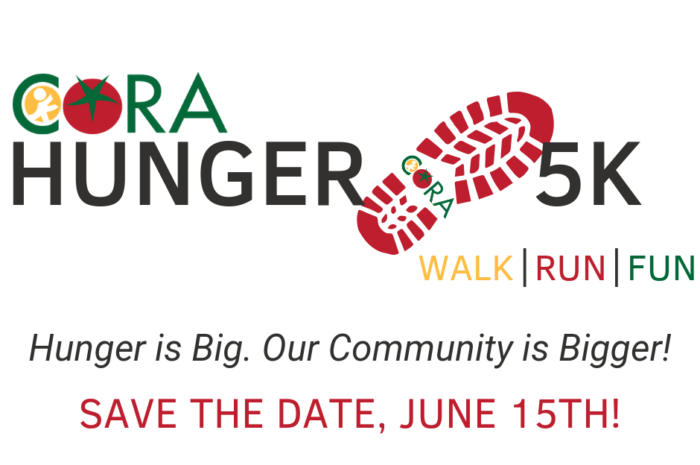 We are excited to announce that CORA’s Hunger 5K and Fun Run will be on Saturday, June 15th at Central Carolina Community College. We invite you to participate in this great event that is a lot of fun, but also an important fundraiser. The Hunger 5K and Fun Run will raise much-needed money to address food insecurity right here in Chatham County. This year CORA will provide nearly 975,350 meals to 12,700 people and we need your help! Speed walk, casually stroll, jog, or take a thrilling chip-timed run. Whichever one you choose, you will know that you are helping hungry neighbors get the food they need when you participate. Get all the details HERE!